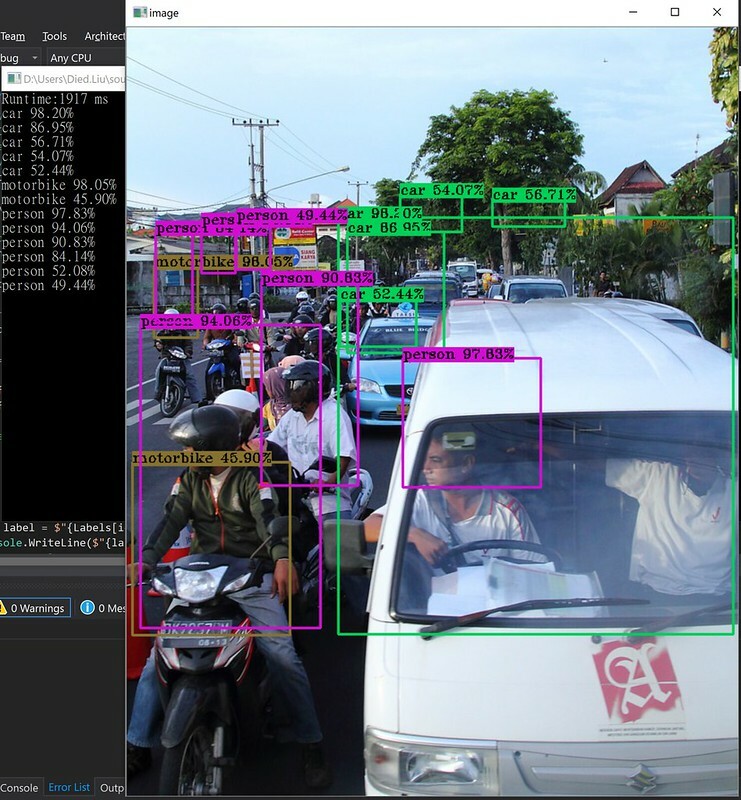 Last time, we compared different language running in OpenCv DNN at this article OpenCV DNN Speed Test in Python / C# / C++, this time we can test the newest OpenCvSharp with DNN moudule supported. Let's look the code, most past same as before. Prepare things for later use. Setup model and forward it. Model output 4 dimensions, here reshape it to 2 dimensions for easy using. Get value from result and draw on image like before. And here is our result image. Runtime on my pc are about 1900 ms~2000 ms, a bit slower than python, but still can be accepted for me. 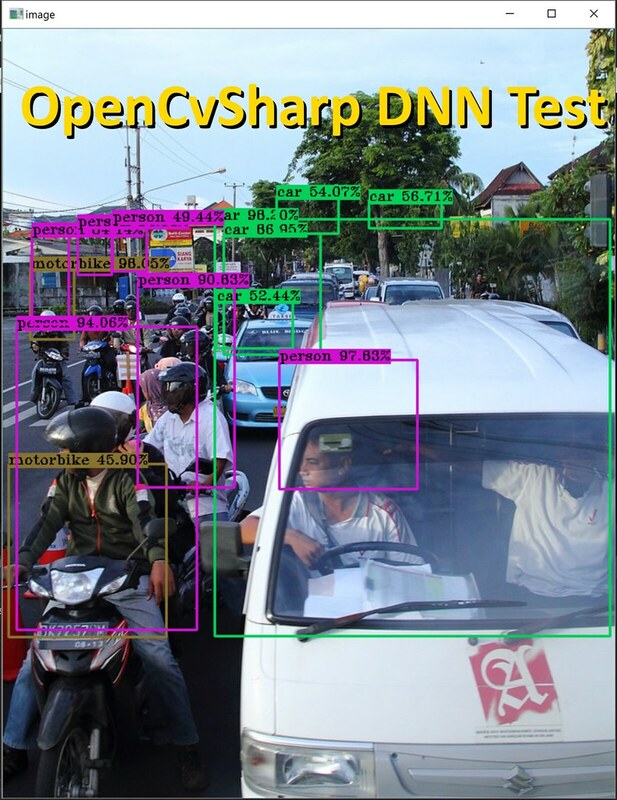 The Important things is, OpenCvSharp DNN got right result and good runtime, way better than EmguCv. Or you can check it on github. Hi, thanks for posting your code its a great help. I got it working easy enough. Only problem I had is with the positioning of the bounding boxes, if you change to a different picture they don't seem to be in the right place. I am very new to this are so it might be a problem this end. Can you give more info about your bounding boxes issue and the error when you change model ? I am probably doing something really dumb but I am only just starting with OpenCV. You can try opecv's demo, they have provide caffemodel and prototxt, maybe it will work. It's a long time I didn't using Emgu-CV, so I have no idea about it, sorry. I would like to know if you have tried MobileNetSSD with opeNCVSharp 3.4.1 ? I have somewhat failed to get it working. Prediction object always gives nothing even though I an using the proper model and config files. Any idea? Maybe target different output layer on net.Forward() ?